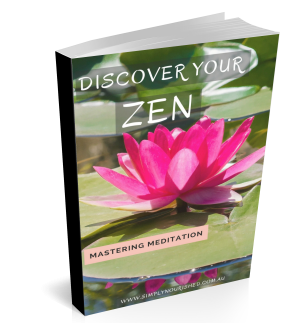 ISN’T IT TIME YOU FELT ZEN IN THIS BUSY WORLD? IT CAN HAPPEN WITH THE POWER OF MEDITATION. -You struggle with anxiety and constantly feel stressed out. -You’re unable to ‘turn your brain off’ to the point that it’s affecting your sleep and rest. -You’ve tried meditation but it didn’t work for you. -You dream of feeling peace and calm. -You are ready to live your best life. -A renewed mind and spirit. -A fresh and awakened energy. -A more focused you at work and at home. For only $27, order your e-guide now! Note: This is a digital product for download (it is not a physical product). By clicking on the ‘Buy Now’ button, you will be taken to Paypal to complete your payment. Please note that you do not need to have a Paypal account to make a purchase.